This is a rambling response to this article. IMHO, emotions are a lie. Emotions are the result of a faulty intellect. The reality of this world is consciousness and its primary expression of love, peace and gratitude. When we fail to see that everything is consciousness then we see a finite world of separation, boundaries, conflict and lack. This false perception gives rise to anger, sadness, loneliness, anxiety, bitterness, rage, greed, arrogance, timidity, infatuation, resentment… These emotions are all based on the lie of separation. I often hear the intellect getting a bad rap – that somehow feeling is considered superior to thinking. To me this is an entirely false argument. Since my path is mostly contemplative, I asked a highly qualified swami whether I was out of balance and needed to develop mushy feelings. He said that people often think that thinking and feeling are two different things, but they are not. He also said that love and light are the same thing. Thinking and feeling are both legitimate spiritual paths. They both have their strengths and weaknesses. I see thinking as a masculine approach and feeling as feminine. They are polar opposite, but they are not in competition – they are complementary. I’ve learned to recognise the value of both approaches, but my liberal view doesn’t seem to be shared by many. Often I meet people who are infatuated with their spiritual ideal. They hold a superior view of their spiritual ideal – and to hold a superior view is to simultaneously hold an inferior view. For example, the other day I had a long and enjoyable chat with a devotional seeker. She saw her devotional path as beautiful and idyllic and my contemplative path as spiritual poverty. Do you see her own poverty expressed in her point of view? In my view, her path is rich, my path is rich, everybody’s path is rich. Even the atheist has a rich spiritual path. So if everyone is on the right track then there is no rich path. There is just life and everyone is in the right place. Thus there is no cause for pride at “success” on the spiritual path. To claim success is to immediately mark a separation from what is and to create failure. Success is failure. Success and failure is the “knowledge of good and evil” that took Adam and Eve out of the Garden of Eden. When we stop superimposing opinions and judgements onto life and actually stop and listen then life will respond by telling the most remarkable story ever told. In the same way, when a man stops judging and opining about his wife/girlfriend and accepts her exactly as she is and actually listens to her with all the presence of his being, then she will reveal to him mysteries that he was never aware of before. This is the same with all of manifest creation. If you look at a tree without a babbling, labelling mind you will see deeper into the tree than ever before and have a much deeper experience and understanding of the whole cosmic show. Personally, I know that I would benefit from more listening and a little less conversation. I often meet men and women who are on a feminine path who understand the dualities of life but still hope to find emotional fulfillment. My initial thoughts are that this is kind of an addiction – like a sugar high. On the surface it is a craving for temporary thrills. But deep down it is a strong and legitimate pull towards the divine. The people I’ve met who have succeeded in finding emotional fulfillment have an extremely high degree of sattva – purity and refinement. They have a lot of happiness and love. However, these experiences are more from the flow of life and eternal principles than from temporary moods or circumstances. That is to say, the love comes from who they are and refinement in their character than from the objects of their affection. The hardest lesson for these people seems to be renunciation – letting go of attachments so that life really can flow without interference. There are corresponding difficulties for men and women on the masculine path. One of them is getting stuck in goal orientation. There is a tendency to think that once self-awareness is realised then everything is finished. It seems that many get stuck here and fail to see how further evolution is possible. As I blogged here self-awareness is only the beginning. And as Patanjali says in the Yoga Sutras (1.47): From the clear experience of nirvicara samadhi dawns the splendor of spirituality. Since we find ourselves with emotions, what can we do about them? A simple rule of thumb to bring balance is to apply the opposite. To balance hot apply cold, wet apply dry…. Dr John Demartini’s technique is good for that. His point of view is that the intellect evaluates a situation as good or bad or painful or pleasurable etc and then an emotion follows. So the interpretation comes first and the feeling second. Thus change your point of view and the feelings change automatically. It is a remarkable technique. It works as simply as this: write a list of 20 reasons of how you benefitted from a “bad” situation. When you see how much your challenges caused you to grow then you’ll stop seeing them as purely bad events. As you see more and more balance between good and bad, the less polarised and emotionally charged you’ll feel. When you see that all experiences comprise an equal amount of good and bad, it will neutralise all the emotions that arise from lop-sided perceptions and only love, peace and gratitude will remain. It is a very liberating experience. Read about how Dr Demartini helped a girl addicted to herion. See here. The Tibetan practice of Chöd is also excellent and very easy for restoring balance. It is made into a very simple practice in Tsultrim Allione’s book Feeding Your Demons. The technique is written here and only takes a few minutes to practice. But my latest discovery is the Core technique which I find quite amazing. See the post below. Another excellent method is Voice Dialogue created by Drs Hal and Sidra Stone. It is about talking with our sub-personalities. The method is explained in their book Embracing Our Selves. It is an excellent introduction to disowned parts – the parts of ourselves that we reject – only to have them show up in our life in some other way. (Dr Demartini’s work excels at this point). Some books seem to have a high vibration about them – this is one such book. One of the points that Drs Stone make about emotions is that feeling them doesn’t necessarily resolve them. They say it is like crying about sitting on a tac. Only when a tac is removed will the crying stop. In addition, they say that happiness and sadness don’t actually go away, but by dis-identifying with them, then they stop running our lives and we get to choose how we act in the world. As you see in this video, there is no crying, no victim, no reliving the past, no story, no philosophy, no beliefs and minimal effort. Just quick easy resolution. I’ve never found anything like it. It is explained in more detail in his ebook – which isn’t very long because it is such a simple process. Tom says that incomplete experiences are like hurricanes with the roughest parts at the exterior and the quietest part at the core. So if you are feeling distressed or emotional then it is because your attention is at the exterior. By shifting your attention to the energetic core then it gets resolved. We habitually avoid going to the core and avoiding what we perceive as pain, which keeps us in the tumultuous edges of the hurricane. As similar as it may seem, this technique is actually quite different to emotional release techniques. Most of these techniques view crying as healing. Unfortunately many people cry for years and never resolve the issue. Tom points out that crying is in many cases another form of avoiding the core of the energy. Try it out. It’s really effective. Pictured above: Sage Agastya. He is considered as the first and foremost Siddha. 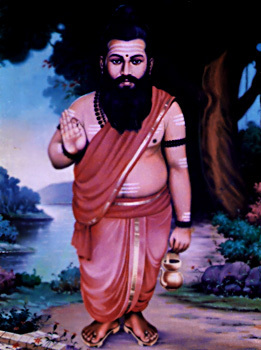 He is considered the guru of many other Siddhas. The following quote is from Kundalini: Aghora II by Robert Svoboda. It is from the chapter on immortals. “The universe is endless and beginningless.” Vimalananda was in a mood to talk, and plenty of time lay before us. “If you are sincere and work hard you will eventually reach the state of continual awareness that you are the Universal Soul, the One, the Atman or Brahman. Then you can truthfully say to yourself, ‘Aham Brahmasmi; I am Brahman.’ Our mortal consciousness is three normal states: waking, dream, and deep sleep. Turiya is the state beyond these three. In Turiya you are continually aware of being Brahman, the Absolute Reality, and of Brahman being all. But it is only the beginning. “In spite of knowing yourself to be the Brahman you cannot do everything the Brahman can. You cannot create, preserve, and destroy universes. It is all very well to know you are the Brahman, but there is an immense diffrence between imagining that you can create your own universe and actually being able to do so. While you and I are limited to the universe in which we live, a Rishi can create as many universes as there are stars in the sky. The difference between you and a Rishi lies in the power of will. “To know that you are the Brahman is jnana, ordinary spiritual knowledge. When there is full knowledge of the Brahman no iota of ego remains; discrimination, doubt, and determination disappear. This is Nirvikalpa Samadhi. You can be satisfied that you have reached the Absolute once you have achieved Nirvikalpa Samadhi, but there is no joy in it; it is dry, it has no juice, no rasa. How can joy exist when everything – observed, observer, and observation – has ceased to exist? Jnana is good, but vijnana, special knowledge, is far better. When you reach the state of vijnana you realize, ‘Oh, so there is someone behind the scene who is playing about and directing everyone else.’ When this happens you become a Siddha. Only when you go beyond Turyia can you understand and know Siddhas. You are currently browsing the SunYogi Blog blog archives for September, 2010.